The Jewish Coffee Cake was a big hit yesterday..so much so that there is only one piece left, which I am trying to save for BW. 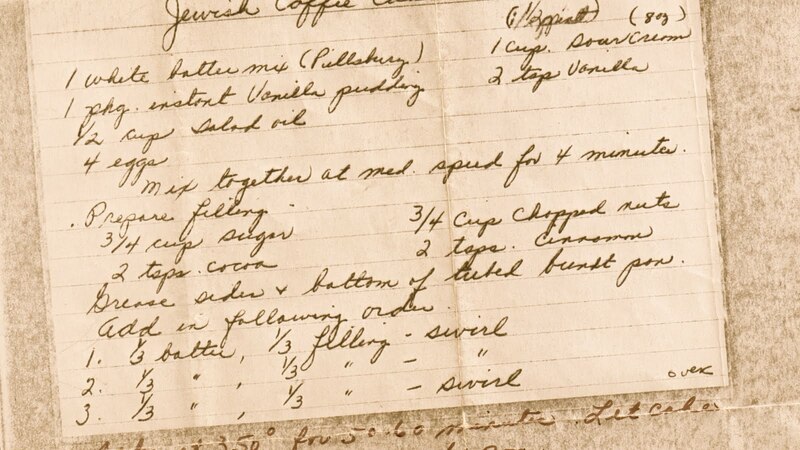 Besides being a really good coffee cake, what I like about having this recipe is that it's in my grandmother's handwriting. Granted it's just a copy of her original recipe card...but I can still recognize her hand. Seeing her writing again, brings her back just a little bit. 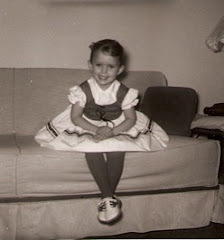 I have some very vivid memories of my grandmother. Many of them included her bakes goods. I loved her chocolate chip cookies, lemon tarts, butter cookies with a little cherry in the middle and her molasses cookies with a dollop of jam. Very yummy. I hope you all can find a good reason to try this sometime. Mix together all of the cake ingredients on medium speed for 4 minutes. In a separate bowl, combine all of the filling ingredients. Bake at 350 degrees for 50-60 minutes. Let cake cool before removing from pan. Optional Notes: She also made this using a yellow cake mix and pineapple instant pudding mix. Very Good according to Grandma. Delish...I'm a huge fan of all coffee cakes:) Thanks for sharing your family recipe! Looks very nummy Linda - I'll have to give it a try. Thanks for sharing. I'll be trying this. It's different than my recipe. wow, what a wonderful thing. The coffee cake sounds delicious and I love seeing your grandmother's handwriting, but probably not as much as you do. The optional directions sound great too!